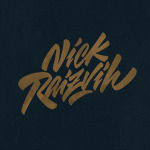 Freelance lettering artist from Siberia. © All rights reserved Nikita Raizvikh. Member since December 2016. Contact the Yellow Images Help Team.